On the 8th December 2004, tragedy struck the heavy metal music industry. one of the most influential guitarists of the modern era had been shot on stage and killed by a fan. Dime's death shook the foundations of the industry with shock and disbelief of what was going on at the time, many wondering why such thing had happened. as time went on and there was more done to find out why this murder had happened, the light began to shine on the subject. This killing, although it was in part related to the splitting of Pantera, whom Dime was in part blamed for by the fan, it was not the entire contributing factor. Nathan Gale, the guy who shot Darrell, as well as several others in the club, was also quoted to have had psychological problems and was on medication for said problems. which begs the question, why didn't the people, whom he told of his problems. try to help the guy out? fear? the unknown? even now mental problems are still a taboo subject, and will be for some time. this could have been stopped. Gale, who was a Pantera fan, and played on a semi-pro American Football team, would be frequently seen on the coach with headphones on, listening to the band as they headed to a match. This obsession with the band, as well as at one point, being quoted to have said that Pantera 'stole' his songs and was going to sue them, also added another nail into the coffin of his psychological state being on the wrong side of wayward. Gale was a former Marine, who had signed up and left after 18 months, to find himself in a string of jobs, which in some way, could have lead to his frustration and further breakdown of his problems. To me, as a fan of Metal, i see stories frequently where the music seems to be the bad guy in all of this, but looking at what happened to Dime, it begs the question, how much do most journalists look into what goes on in the killers background other than the music? its rare that this happens. Thankfully Rolling Stone and NME both covered this in such a way that gave some insight into Gale and his background and this is where i pulled the information from to write what i have here. 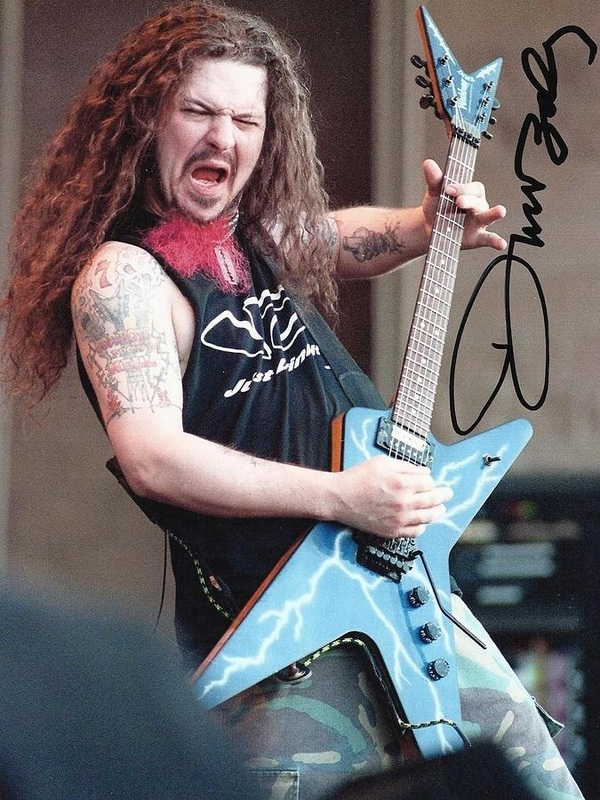 R.I.P 'Dimebag' Darrell Lance Abbott, may your legacy remain true.